With our office in Anne Arundel County, our lawyers handle a large number of Annapolis car accidents. There is no question that Annapolis is a great city. As a venue for motor vehicle injury claims, the returns on Annapolis are far more mixed. Car accident lawyers give mixed reviews as to how favorable a jurisdiction Annapolis is for auto accident cases to take to trial. Personal injury verdicts in Annapolis are statistically not as high as they are in Baltimore City or Prince George's Count. But Anne Arundel County is consistently getting better. Our lawyers have had a lot of success in this county over the last 13 years. Tort cases filed in Annapolis usually settle before trial.. The courthouse -- which is beautiful, particularly on the outside -- is well run and has a pretty decent system to try to get these claims settled out-of-court before they even see a courtroom. Shortly after a personal injury lawsuit is brought, the lawyers get a scheduling order which sets forth the key deadlines in the case and creates meaningful opportunities to get the case settled. Typically, although the case is in the very early stages of discovery, the judge handling a scheduling conference in an accident case will - at least briefly and possibly more depending on the judge - discuss settlement with the parties. But more often then not, these early efforts are going to fail. The real opportunity to get the case settled is in a settlement conference after the close of discovery. Generally, this settlement conference is handled by a retired judge who has presided over hundreds of trials and understands the value of personal injury cases. This judge is a neutral mediator who tries to bring the parties together and usually expresses an opinion on the range in which the case should settle. These settlement conferences are often very helpful in getting the parties in an auto accident case to reach a settlement (as is the pressure of an impending trial date). Our experience is that this is a great place to settle cases that are valued in the $50,000 to $300,000 range. More serious injury and wrongful death cases are more likely to be settled using a private mediator after a settlement conference fails. If the case does not settle at the settlement conference, the parties must attend a pretrial conference. In personal injury claims where you do not do a post- settlement conference mediation, the judges in Anne Arundel County go to great lengths to help the parties settle their case. So you have one more shot to try to get the case resolved. The key is whether the insurance company comes with an adjuster with real authority to settle the claim. If they do, then there is a real chance at an out of court settlement. 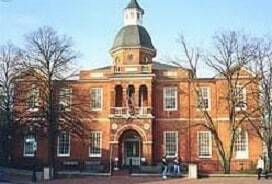 There are also two District Courts of Anne Arundel County located in Glen Burnie and Annapolis. These are for claims under $30,000. Our lawyers stopped handling District Court cases years ago. We now handle only serious injury claims that wind up in Circuit Court. 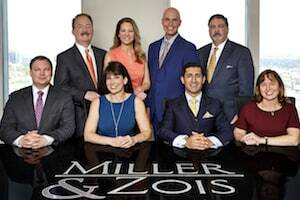 Miller & Zois handles a substantial number of our cases in this county, which is our own backyard. We have clients in Glen Burnie, Annapolis, Crofton, Pasadena, Severna Park, Gambrills, Severn, Millersville, Crownsville, and all other areas of Anne Arundel County. We have settled literally hundreds of claim in this county and have had a great deal of success at trial here as well. If you have been injured in an accident, call us at 800-553-8082 or get a free on line consultation.